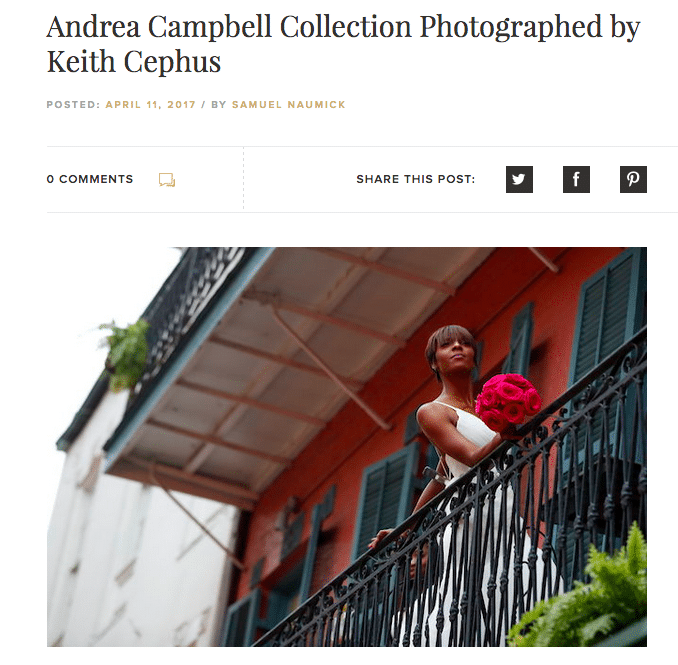 New Orleans Wedding Photographer | Keith Cephus’ Destination Styled Shoot in Nola Featured in Munaluchi Bride!! Very excited about having my destination styled shoot in New Orleans featured in Munaluchi Bride this week!! Thank you team Munaluchi for this amazing opportunity. Click here to view this amazing feature! Destination Wedding Photographer | Keith Cephus' Barbados Styled Shoot Featured in Munaluchi Bride Magazine!! Cephus' Editorial Shoot Featured in Munaluchi Magazine! Keith Cephus' Destination Wedding Featured on Grace Ormonde Wedding Style! Blue Water Hotel Antigua Wedding Photographer | Antigua Destination Wedding Photographer | Cephus' Wedding Featured in Munaluchi Bride!